Summary: After a few years of planning and debate, Rutgers-Newark and Rutgers-Camden will merge to create one law school. Rutgers University’s Board of Governors approved a merger between the Rutgers-Newark and Rutgers-Camden law schools on Thursday, NJ.com reports. The merger must be approved by the American Bar Association before it can be finalized. The new Rutgers Law School would start using a single application for acceptance beginning this fall for the incoming 2016 class. Students would not have to go to classes on both campuses, but they would have the option to remotely attend classes on the campuses by video. Read about the merger discussions here. In 2013, the Camden campus was fined and censured by the American Bar Association. According to Rutgers Today, the new school will boast over 100 faculty members, whose strengths include public interest law, corporate and business law, criminal law, and health law. Additionally, a comprehensive curriculum will be developed and will include use of the latest technology. Do you think the merger will be successful? Yes, the school will have many more resources. No, I think it will be hard to reunify. Two co-deans will lead the new school, and will report in occasionally to chancellors at each university to ensure the transition is going smoothly. The deans will still have their individual authority over each law school, but they will now also work with the university senior vice president for academic affairs in a collaborative manner. Law school leadership first introduced the idea of a merger in 2011. The two Rutgers campuses have operated independently since 1967. 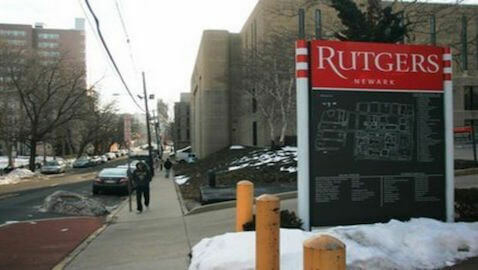 According to the New Jersey Law Journal, the 2011 merger was put on hold when Governor Chris Christie suggested a merger between Rutgers-Camden and Rowan University, located in a nearby city. However, that merger did not go through. Last year, Rutgers-Newark created a fellowship for its graduates. The new school will have over 1,000 students, and will be one of the country’s biggest law schools. Although the law school will have start-up expenses, such as promotion and marketing, the school expects to save money over the long term.